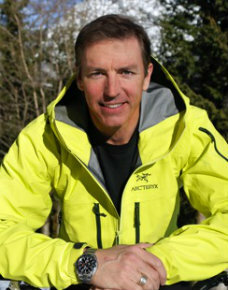 Patrick Sweeney has been an Olympic level athlete and best selling author. He has grown technology companies around the world and sold them for millions. He is recognized by presidents and rock stars for his contributions to charity and business, but left it all behind to pursue his passion for adventure and find the adventurer within. Patrick believes that there are times in your life when you have to make a change. Those times of change become milestone moments that he believes alter everything. He believes that you do not need to give up things like money, career or business to find the joy that evades us but so many of us spend a lifetime chasing goals that won’t make us happy. You can still have it all but you just need to face your fears, embrace the adventurer within again and become the truest representation of ourselves. Patrick Sweeney is the son of a first generation Irish immigrant who paid his way through state college where he took up rowing. With just two years of experience he decided to take on the world and try out for the USA Olympic team. Five years later, he finished second in the Olympic trials and won national and international championships in the process. After the Olympics, Patrick attended a Top 5 business school where he would earn his MBA and go on to start three technology companies worth millions of dollars. For years, he worked hard building technology companies that would earn him millions. While working 75-hour weeks, pushing his body to the limits and feeling completely exhausted. He had realized that he did not like who he was becoming. His milestone moment was leaving the hospital after fighting for his life on the operating table, against a rare case of Leukaemia. He knew from that moment that his life had changed forever, and from then on he decided to chase adventure for a living. Patrick is now on a mission to help people around the world find their adventurer within. The day he started taking the steps to find his adventurer again, he knew he had unlocked a passion and energy for life that had been lost for a long time. He wants to help others do the same, and become better partners, parents and people. Learn to use fear to create your most powerful, successful and adventurous life possible. Captivate your audience with an exciting combination of the latest neuroscience on fear, the amygdala and human performance with the authentic narrative of Patrick Sweeney’s journey going from the world’s wimpiest kid to Olympic level athlete, to multi-millionaire entrepreneur, to now the first person in history to attempt cycling the seven summits. This innovative talk engages the audience and shines a light on the latest cutting edge science with lessons from Harvard Professors, World Champion Rugby players, Red Bull Pilots and Fortune 50 CEOs. This will have audiences laughing, crying and walking away changed for good. A formula for extraordinary success in business and in life. Patrick Sweeney was staring at the ceiling of a sterile room in Johns Hopkins with more tubes and wires hooked to him than the space shuttle. He asked himself one crucial question; “If I die today will I have lived the happiest, most passionate, adventurous life possible?” Despite being a former Olympic level athlete and multi-millionaire technology entrepreneur – the answer was no. He found himself saying, “I wish I could…” too often and wondering if he was out of time. With each prayer for help he promised to live a life of significance and inspire millions of people to live the most passionate, balanced, adventurous life possible. Come find out how to live in your Genius, melding passion and vocation, how to make more time for family and adventure, and walk away with the five critical secrets to lasting happiness. How would you like to live life 10 times better? You can dramatically change everyday of your life going forward thanks to lessons from the USA Olympic Training Center, The Word’s Top Entrepreneurs, US Navy Top Gun Instructors, and the most cutting edge neuroscience researchers. This provides your audience with the ultimate life hack to being faster, smarter, and better at life and business. What do Top Gun Pilots, World Champion Rugby Players, Fortune 50 CEOs, Navy SEALs, billionaire entrepreneurs and the most productive, successful people in the world have in common? They know the secret to get very good at anything quickly, they have cracked the code to greatness in under 1,000 hours. Patrick Sweeney will show you why the infamous “10,000 hour rule” is utter nonsense, how diet and exercise can be the key to mental productivity, and what great leaders have discovered about fear – learn the five steps to mastering anything and becoming 10 times more productive in your life and business.